A design to reflect the Era of color and Excitement! lightweight, elegant and refined by nature. 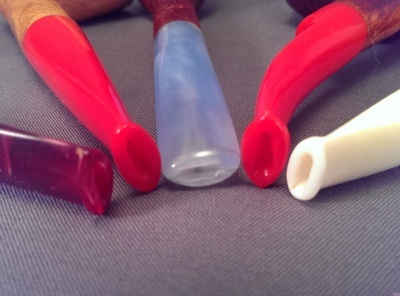 All the Gatsby pipes are made in house and all have hand shaped vibrant Acrylic stems and The Briar is air cured Algerian. All drilled to my standard specification with an open draw. 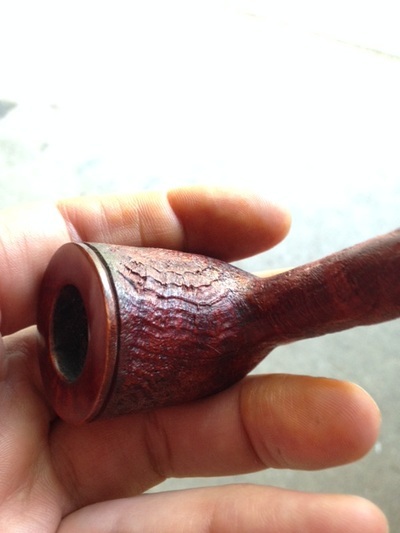 These pipes are usually a Dunhill group size 4 and are left unstained with my golden tan finish. 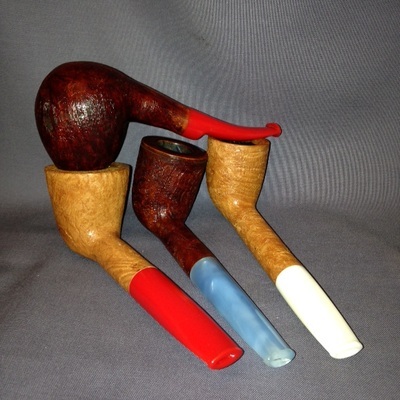 This line also features my vintage sandblast, tapered stems and half saddles to compliment the bents. 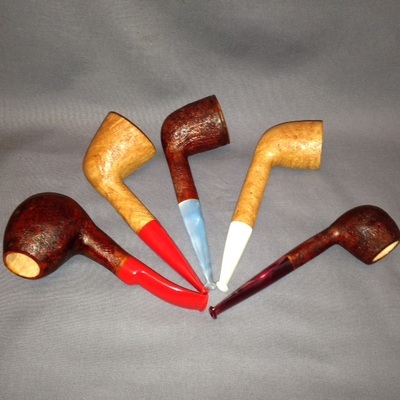 I am proud to offer this line of pipes ant remarkable prices!